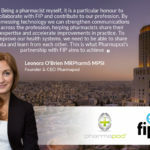 Pharmapod’s CEO Leonora O’Brien discusses the launch of the World’s first medication error “Response Team Community” and the driving of real patient safety change through Artificial Intelligence and Pharmapod’s Cyber-Human learning loop. In terms of learning from Patient Safety Incidents, what is the problem with current approaches? “Too often medication error databases initiatives internationally have been focussed on the process of collecting data in databases. To drive true improvement in patient safety, we can’t get stuck at this point – although this approach has given us some new insights into the past, we need to move on to the ‘so what?’ of the data and to ‘responding’ effectively to the data insights. In most cases, National Databases provide no feedback, timely or otherwise, on errors to the reporter and the value proposition for healthcare professionals in reporting the error is very low. Lack of feedback is a major barrier to reporting patient safety incidents, resulting in only 14% of incidents being reported (1)(2). As a basic premise of Quality Improvement is ‘you can’t improve what you don’t know about’, the status quo does not bode well for change happening rapidly if at all. It is a fact that currently, it takes an average of 17 years for improvements, identified from previous errors, to come into practice (3)(4)”. 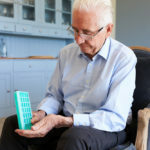 How is Pharmapod driving change in patient safety? 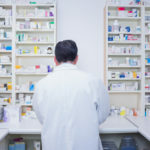 “At Pharmapod we apply Machine Learning in 3 stages, the first is ‘description’ (creation of our Global Aggregate database of patient safety incidents), the second stage ‘prediction’ and responding to the data, the 3rd is ‘prescription’ — advising and decision support; after all its not enough to predict what health care practitioners are going to do which will lead to an error; it’s only by understanding why they are going to do it which will help deter that behaviour in the future. As with most Artificial Intelligence (AI) tools, they’re most effective when combined with Human Intelligence. 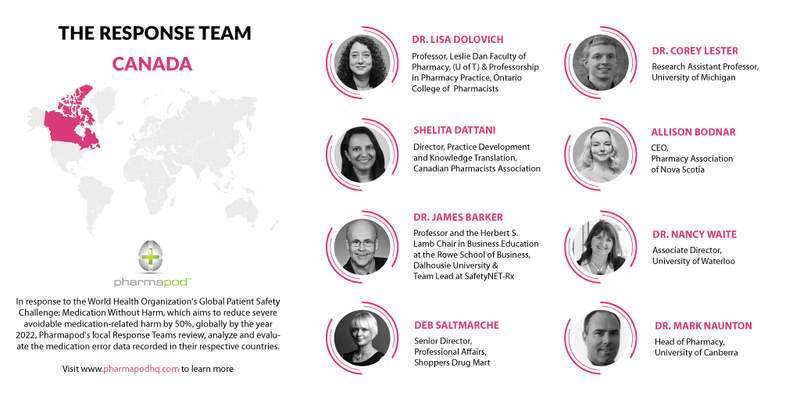 So, on top of Pharmapod’s cloud-based Global Learning Health platform, we are also incorporating a cyber-human learning loop to maximize impact – the insights from the international Response Teams will be a key contributor and accelerator for improvement in medication safety”. “Response Teams are given access to Pharmapod’s aggregate data for analysis and research, building the world’s first medication error expert ‘Response Team Community’. 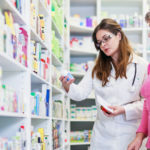 The analyzed aggregate data, along with the analysis and recommendations of the Response Teams, will be made available directly to pharmacies and health-system stakeholders and will be shared publicly, with clear calls to action for pharmacies to implement to prevent errors. 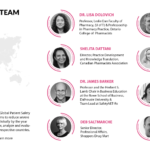 Pharmapod is also introducing the hyperconnectivity tools needed to connect this global community and accelerate their sharing of learnings and, ultimately, accelerate change”. Why does the status quo need to change? “3 years ago this month, a wonderful 8-year-old boy called Andrew Sheldrick died after one dose of the wrong medication in Ontario, Canada. This is a tragic, heart-breaking case. Then consider this – that over half a billion medication errors happen in European hospitals alone each year; that over 2 jumbo jets of people die every week in the US due to medication error and perhaps most tragically, that the majority of these are cases are preventable. Think about it. These are the stories of real people. Like Andrew, all have families and loved ones who suffer immeasurably when such a loss occurs. There is no question that the status quo must change and the time to change is now. At Pharmapod we strive to ‘be the change you wish to see’. (1) Journal of Nursing & Care. 2018. Medical Error Reporting Attitudes of Healthcare Personnel, Barriers and Solutions: A Literature Review. [ONLINE] Available at: https://www.omicsonline.org/open-access/medical-error-reporting-attitudes-of-healthcarepersonnel-barriers-and-solutions-a-literature-review-2167-1168-1000377.php?aid=84293. [Accessed 16 July 2018]. (2) Source: Evans SM, Berry JG, Smith BJ, et al. Attitudes and barriers to incident reporting: a collaborative hospital study. Qual Saf Health Care. 2006;15:39-43. (3) Mind the Gap: Putting Evidence into Practice in the Era of Learning Health Systems Jeanne-Marie Guise, MD, MPH1,2, Lucy A. Savitz, PhD, MBA3, and Charles P. Friedman, PhD41Scientific Resource Center for the AHRQ Effective Health Care Program, Portland VA Research Foundation, Portland, OR, USA; 2Department of Obstetrics & Gynecology, Oregon Health & Science University, Portland, OR, USA; 3Kaiser Permanente Northwest Center for Health Research, Portland, OR, USA; 4Department of Learning Health Sciences, University of Michigan Medical School, Ann Arbor, MI, USA. (4) Morris ZS, Wooding S, Grant J. The answer is 17 years, what is the question: understanding time lags in translational research. Journal of Royal Society of Medicine 2011;104(12):510–520.